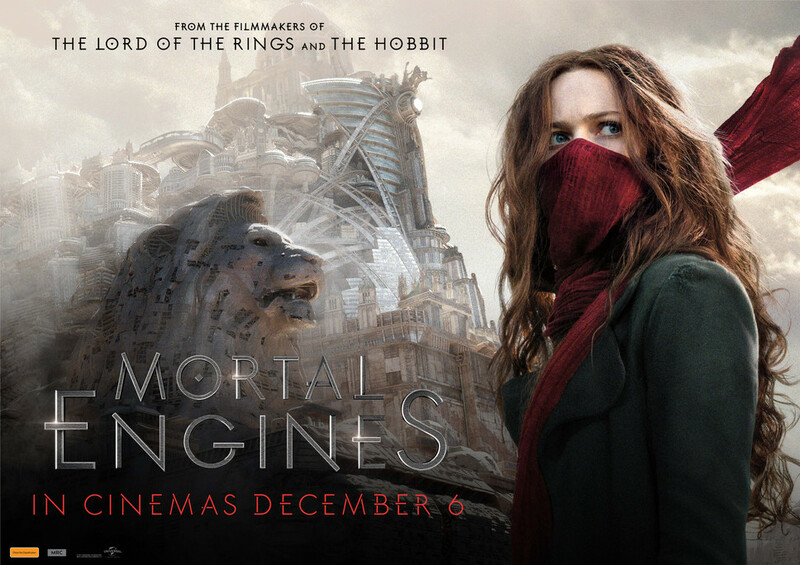 Win 1 of 5 double passes to Mortal Engines! Update: Comp now closed. Winners have been drawn! Thanks everyone for entering the competition. The winners are: Rick0r, gooseman77, Montezooma, XPD & Bt. Congrats folks, we'll be in touch shortly! Welcome to the world of Mortal Engines – in cinemas December 6. From the filmmakers of The Lord of the Rings and The Hobbit comes the startling new epic, Mortal Engines – in cinemas December 6. Thousands of years after civilization was destroyed by a cataclysmic event, a mysterious young woman, Hester Shaw (Hera Hilmar), emerges as the only one who can stop London — now a giant, predator city on wheels — from devouring everything in its path. Feral, and fiercely driven by the memory of her mother, Hester joins forces with Tom Natsworthy (Robert Sheehan), an outcast from London, along with Anna Fang (Jihae), a dangerous outlaw with a bounty on her head. Mortal Engines is directed by Oscar ® -winning Christian Rivers. Joining Rivers are The Hobbit and The Lord of the Rings trilogies three-time Academy Award ®-winning filmmakers Peter Jackson, Fran Walsh and Philippa Boyens. Visual effects are created by the Weta Digital team. We have 5 Double Movie Passes to Mortal Engines to give away, courtesy of Universal Pictures. Enter below, and get ready for the biggest adventure epic of the year! Mortal Engines – in cinemas December 6. If New Zealand was featured as one of the film's massive wheeled nations, what Kiwi items, landmarks or brands would you want to see on it? Entries close midday, Wednesday November 28.